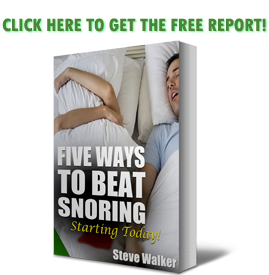 Amazon sells just about anything and everything under the sun – snoring mouthpieces are among them. There are many dangers to recklessly buying mouthpieces from Amazon.com. Uncover the truth and find out what they will not tell you here. Amazon warehouse workers walk ten miles per day on average. The retailing behemoth is the online equivalent to Target® and WalMart® put together with over 200 million items for sale. Annual revenue is in the $75 billion dollar range. They are, hands-down, the largest marketplace in the world, and they are exclusively online. You will not find a single consumer-level brick-and-mortar Amazon store anywhere in the world. From this marketplace alone, Google reports just under 3,000 snoring mouthpieces. Okay, that last one is a bit biased because I love Amazon. I love their Prime service, I love their selection, and I love coming home to a box on my doorstep. It makes me rush inside, find a box cutter or even rip the box open with my bare hands to find out what ‘Santa’ brought me today. The feeling is indescribable. Woah. Okay… slow down for a minute. Before you go all crazy on Amazon which is possible because I’ve done it – take a minute to find out what you are actually buying. There are several reasons why Amazon is not such a good place to buy your snoring mouthpiece. Amazon does its best only to allow reputable sellers on their site. They make them jump through several hoops to verify them – for the protection of you, the consumer, and their customer. They deal with money online, so they need state-of-the-art encryption coupled with standard online common sense. They are US-based – which means they are subject to United States taxes. For a $75 billion dollar-per-year company, they need to report every penny that goes through their doors – *ahem* – I mean website. After your verification process, they subject you to Amazon’s sales and returns policy. After all, I do not think Amazon would be nearly as large or famous if everything they sold put you through a hit-or-miss situation dependent on the seller. Despite everything they put sellers through, you will still find shady dealers. They may be headquartered in the United States, but they have factions in every major country. That means every country has their own version of Amazon.com to adhere better to local business and tax laws as well as keeping local products local. Products manufactured in various countries and sold in the United States are not subject to American scrutiny. Which brings me to my next point – America’s brand of scrutiny. The Food and Drug Administration is a US-based institution designed to protect the American people. To keep things safe, they impose rules, regulations, and law over the manufacture and sale of products within the borders of the United States. Made in China? Nope – not subject to FDA-set regulations. When it comes to snoring mouthpieces, FDA clearance is a big deal. It can take over a year to get clearance before it even becomes legal to sell to the public. They scrutinize the product for safety – chemical composition and manufacture process, conceptual safety, and consumer safety. There is probably more, but you get the point. According to the FDA, snoring mouthpieces are considered Class II Medical Devices that require a prescription to sell legally in the United States. The FDA offers a prestigious ‘FDA Cleared’ certification to those mouthpieces that pass all the safety tests and are comparable to other mouthpieces sold on the marketplace. They also inspect the sanitary conditions in which the mouthpiece is manufactured. This is where your research comes in. Anyone in the world can save a copy of the ‘FDA Cleared’ logo and slap it on a mouthpiece. Those who are not FDA cleared are sitting there hoping you won’t do your own research – they hope you’ll believe what they are telling you at face value. This is NOT a good idea. Allow me to make your job easier by telling you how to verify it for yourself. Every mouthpiece that has been certified as safe by the FDA is listed here, on the FDA’s own website. You must do your research to verify that the product being sold is being regulated by the FDA. You do not want harmful or toxic chemicals leaking into your mouth while you sleep. You do not want to risk permanent harm to your jaw because you didn’t take five minutes to research your mouthpiece before you bought it. 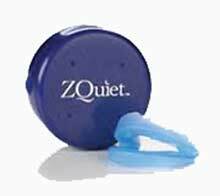 Reputable companies, like the manufacturers of ZQuiet or Good Morning Snore Solution jump through several hoops to gain the certification from the FDA. They may even provide clinical research performed on the device to support any claims they may make. As you perform your own research, you are bound to come across several of these clinical trials. When you find one you might like, take a minute to read through it. You may find that you have an entirely different problem than the one they tried to solve in the clinical trial. When you buy a mouthpiece from a reputable company, they will ask you a series of questions. The questions are centered around safety and evaluate you for the device. They know how their device is intended to work, and by asking these questions, they are protecting you from misuse. It is not that they do not want to make a sale. I mean, c’mon – everyone wants to make a sale. What they do not want is to sell you a product that can make your snoring condition worse. They do not wish to sell to someone who has central sleep apnea – a condition that must be examined by a qualified physician. No mouthpiece in the world can cure central sleep apnea. Those with Temporomandibular Joint Disorders may find their condition worsens with the use of a snoring mouthpiece. Don’t buy from Amazon.com. You are will spend far too much time sifting through information than you will solving the issue you went there in the first place. This is your health we are talking about here. Don’t be one of those people who do not care about their health until they are on the brink of losing it. 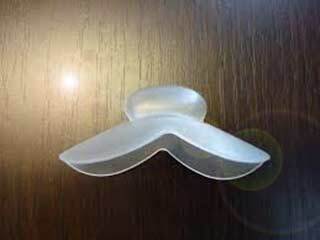 Snoring mouthpieces are some of the most highly effective anti-snoring solutions on the market. As Class II Medical Devices, you owe it to yourself to have a dentist or other qualified medical professional examine you. They may have a different solution entirely. If you do find a reputable company whose mouthpiece you want to try, buy it direct. There are way too many variables that are out of your control that will have a direct effect on your health. If you’ve read this far, you know this is only part of your research – your education. Educate yourself. You’ll be glad you did. Thanks for really helpful information and perspective!